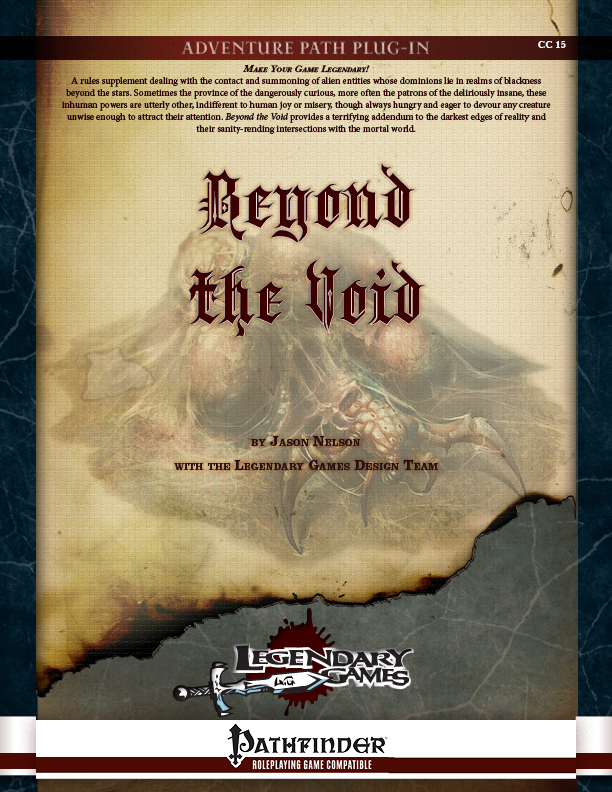 Beyond the Void now in wide release! That’s right, in case you missed out on early purchase here at makeyourgamelegendary.com, the latest from Legendary Games is now available at d20pfsrd, Paizo.com, and DrivethruRPG/RPGNow. Of course, we’d still love for you to buy directly from us (just hit the Shop Now! link above), but wherever you get it, you gotta get your recommended daily allowance of MIND-SHATTERING COSMIC HORROR today!